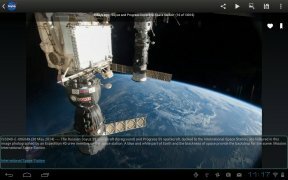 The National Aeronautics and Space Administration, known as NASA, is the US government department in charge of space exploration and research. 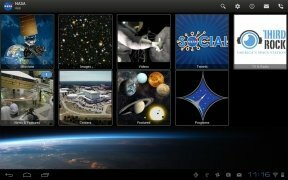 This agency is the world leader in this field, and you can now have access to all the news and updates its generates by downloading NASA App. All the news about space exploration. 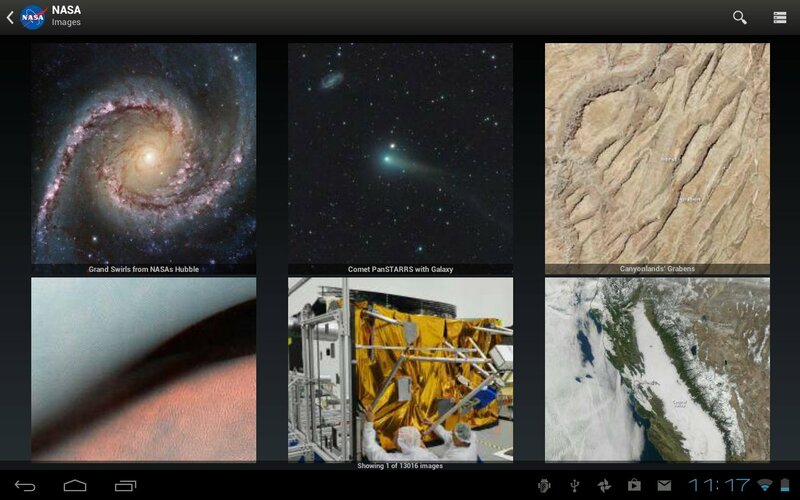 Gallery with almost 13,000 images and in continuous expansion. 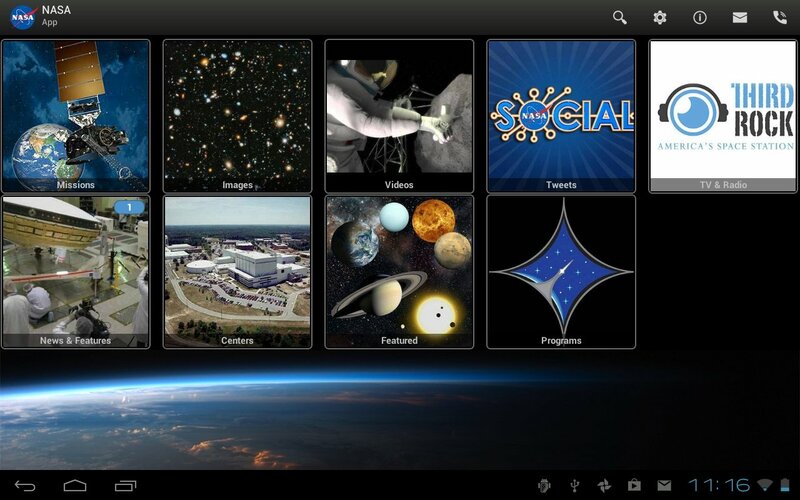 Latest news about space research. 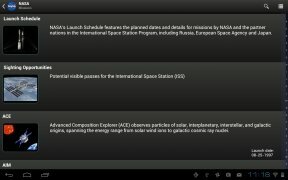 Information about launches and count-down. 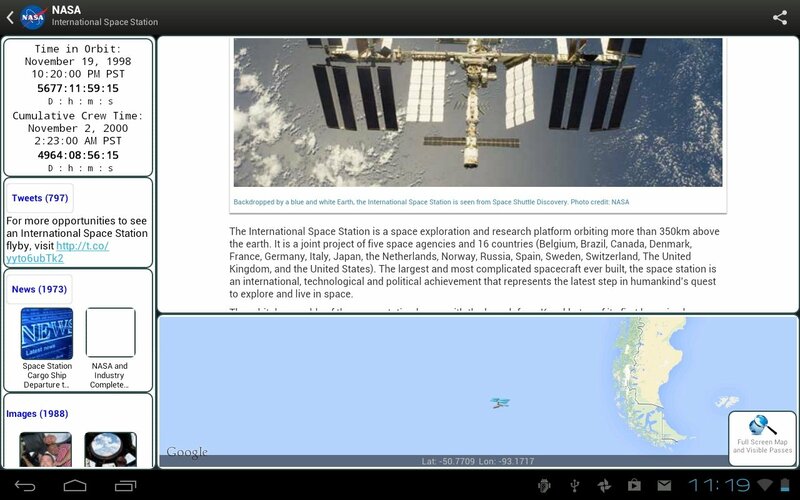 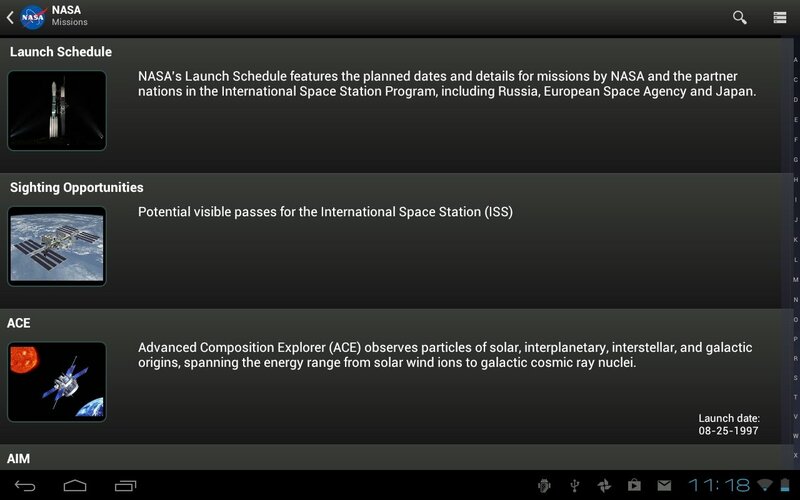 Notifications about the ISS orbits. 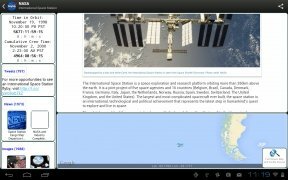 ISS and earth satellite trackers. Get hold of immediate first-hand information about everything generated by the most important agency in the world in terms of space research and exploration with NASA App.